The Willow Trace development covers 134 acres of land on Boudreaux Road in the northern portion of Harris County. The storm water drainage portion of the Willow Trace project involved the design of a three-basin storm water detention system, a pump installation to empty the lower (deeper) portion of the detention system, a 1,200-foot long discharge culvert, and improvements to a 3,400-foot segment of Harris County Flood Control District (HCFCD) Channel M114-00-00, a tributary to Willow Creek. RGME used the HEC-RAS and HEC-HMS programs to complete hydraulic computations for Ditch M114-00-00 and the detention outfall system, as well as hydrologic routing operations through the detention system. 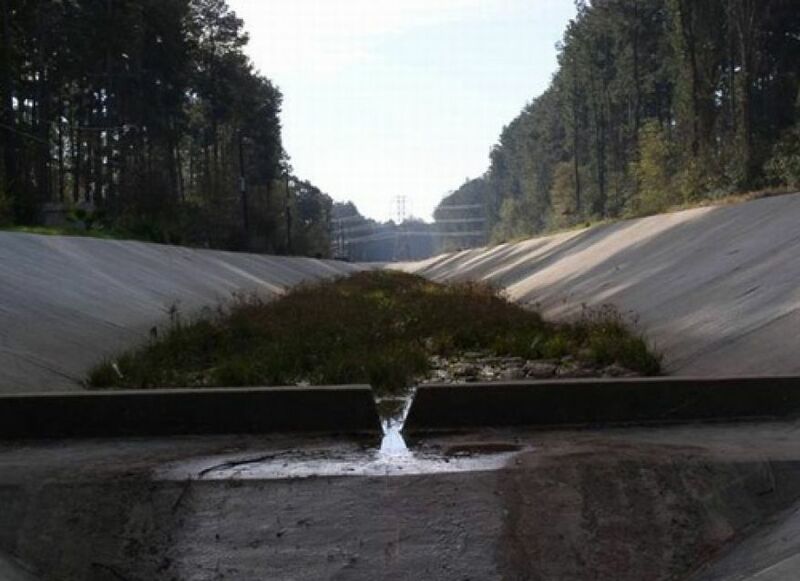 Close coordination with the Harris County Public Infrastructure Department and Harris County Flood Control District was necessary to develop the final design of improvements to Channel M114-00-00, which called for concrete side slopes and an earthen bottom through most of the improved segment of the channel. A fully concrete-lined channel with multiple drop structures was required in the lower section of the channel to accommodate significant drops in natural ground elevation. RGME prepared construction documents for the detention facility, pump installation, outfall pipe, and channel improvements. RGME also provided construction phase services for the project, including cost estimates, advertising, bidding, and direct oversight of the actual construction of the detention facilities and outfall drainage system.